Paula Newcom, Indiana State Library’s Northeast regional coordinator, recently spoke with new Syracuse Public Library director, Kim Blaha. 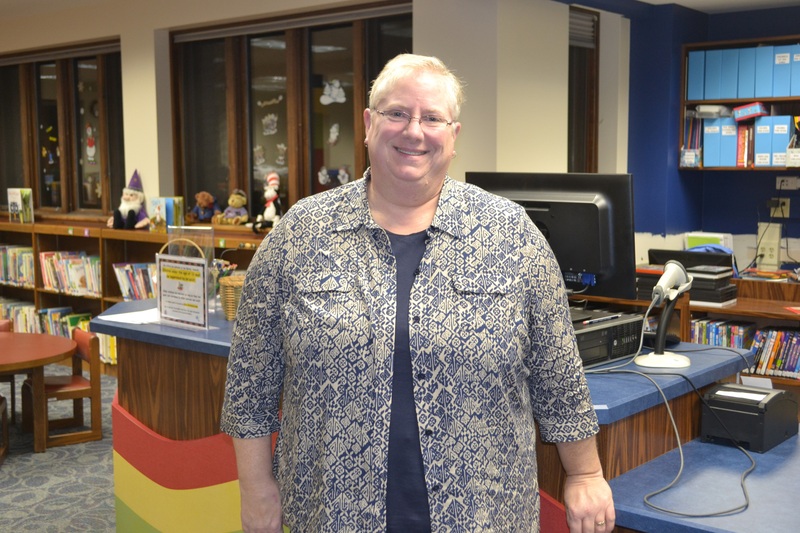 Blaha has previously worked at several libraries in northern Indiana. “It was really cool to learn that she was a music major in college and plays the French horn, one of my favorite instruments,” Newcom said. Paula Newcom: Are you from the area? If not, where are you from originally? Kim Blaha: I was born in Indiana, but grew up in the Southeast suburbs of Chicago. I have lived in Ohio, Oregon, Wisconsin and now Indiana. KB: I have always loved the library and believe it is a calling for me. KB: My favorite thing about working for my library is the opportunity to be constantly creative. I love solving problems and learning new things. I also enjoy sharing my discoveries with others, whether it is a great book, a cool app or a form I developed to make record-keeping more streamlined. KB: Currently, my favorite book is “All the Light We Cannot See” by Anthony Doerr. That will probably change next month. The book I’ve read the most times is “The Hobbit.” I usually read that once a year. KB: I would like to have dinner with Ralph Vaughn Williams, because I love his music; President Obama, because I would love to know what it is like to be the head of a country and keep your sense of humor; and Elizabeth Cady Stanton to find out how she managed as a woman and a crusader. KB: I love the outdoors: reading outside in my hammock, gardening and playing ball with my dog. I play French horn professionally and for relaxation I color or do other creative projects.